Drivers in Modesto, Merced, and Ceres CA know that basic care of their car or SUV is essential to maintaining its quality and reliability–and while scheduling auto service in Turlock may not seem like your top priority today, it’s a major part of vehicle ownership. 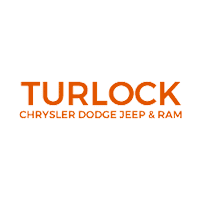 At Turlock Chrysler Jeep Dodge Ram, we want to make this as easy as possible. With a full staff of professionally-trained service technicians on-site at our state-of-the-art facility, we can easily handle all of the service needs of local drivers, whether it’s a quick and clean oil change or a run of diagnostics. Since we use genuine auto parts in all of our repairs or replacements, you can be confident in the quality of our work, and in the continued quality of your RAM, Jeep, Chrysler or Dodge vehicle. Our online service scheduler gives you the unique opportunity to specify a date and time for your preferred appointment, and let us know exactly what your car needs–or to let us know about an issue that needs to be addressed and fixed as soon as possible–all without needing to drive to our service center location or get on the phone. Simply submit a service inquiry with your contact information, and a member of our technician team will confirm a finalized appointment time with you. By scheduling routine maintenance at Turlock Chrysler Jeep Dodge Ram for your vehicle, you enjoy multiple benefits: safer travel on the road, more fuel-efficient performance, a longer lifespan for your vehicle, and even a more comfortable ride. And since we can handle just about any service needs you may have, you’ll only need to schedule appointments with one local shop. Visit us for transmission service, auto detailing, tire repair and changeover, oil changes, brake service, tire rotation, battery inspection and replacement, A/C repair, wheel alignment, car wash and wax, brake repair or brake pad replacement, multi-point vehicle inspections, and more. Use the button below to schedule a service appointment, or give our service center a call to chat with a technician to set up a time, or to request a quote.